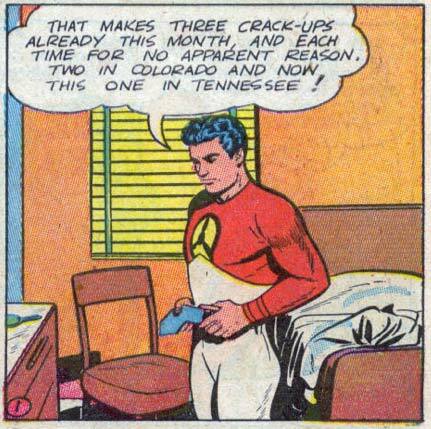 Random Panel: Skyman predicts the NFL 2009 season in 1947! 6 Responses to Random Panel: Skyman predicts the NFL 2009 season in 1947! *giggle* He is amazing… what does he say about the Panthers? I might actually go to a home game if it promises to be any good! In order to maximize my illegitimate gambling income, where can I obtain a copy of this issue? Brad, I wouldn’t place too many bets on the Panthers. They’re 0-2 as of yesterday. And they looked bad doing it, too. Jake’s a good down-home Louisiana boy like myself, but wow, has he been bad the last few games.